A clever introduction sees our Jungle Lord moving stealth like through the Jungle. The narration says that he can stand mere inches from you undetected and that’s during the daylight hours. At night he’s something else entirely. Then he leaps into action! 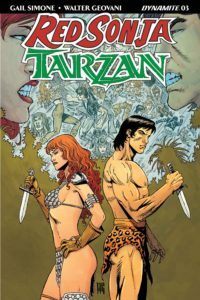 Tar…no, not Tarzan, they’ve been talking about Korak, who is the son of Tarzan. 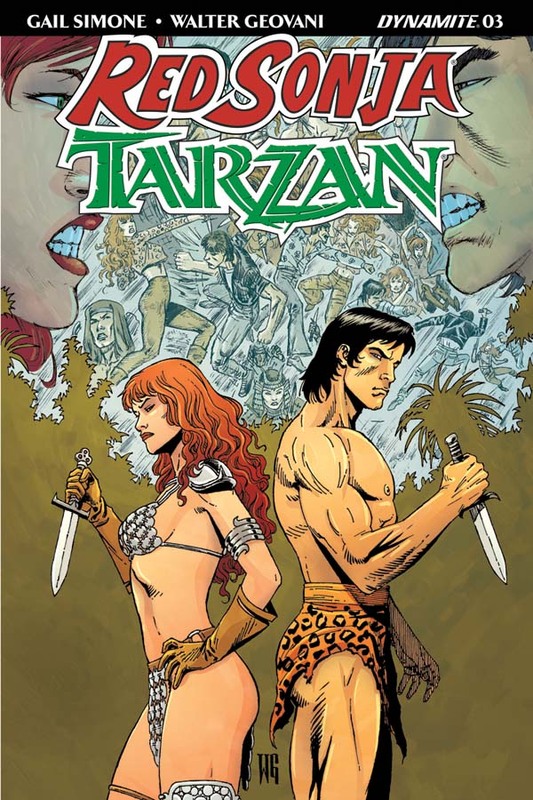 Gail Simone opens this issue with the son of Tarzan taking on what appear to be poachers. He informs them directly that they are trespassing on private property. He finds out why this group has destroyed an entire herd of elephants and not even taken any meat from the kill. And he’s not amused. Then we cut to the home of H.G. Wells. It’s here we discover the possible truth of the antagonist, Eson Duul. 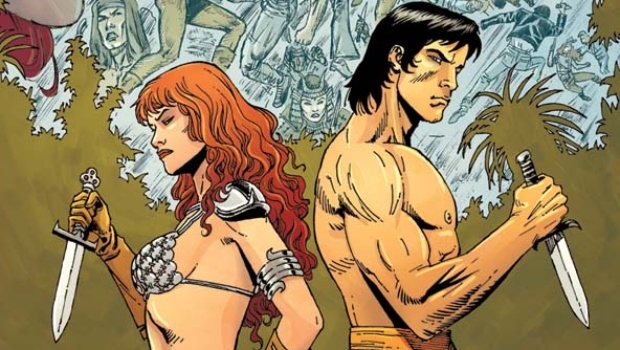 I won’t give that away in this review but it’s a shocker revelation in a fine comic book. Great Stuff includes the legendary meeting of our protagonists and the celebrated author. Also, the truth behind the Sword of Sorrow. Walter Geovani brings the characters to impressive life as the two unlikely nonconformists seek to find the underlying cause of this situation and his renderings prove worthy of this iconic team up. 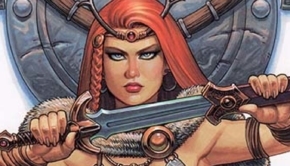 Highlights include the splash where Korak makes his entrance and the panels where Red Sonja wields her Sword of Sorrows.